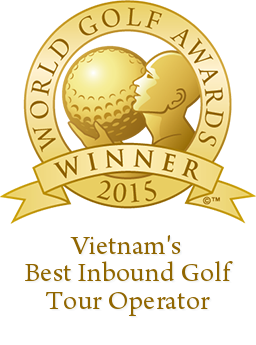 Royal Golf Club is situated near to Tam Diep town, Ninh Binh Province, about 100 kilometres South of Hanoi. 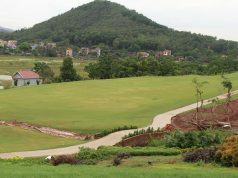 The Royal Golf Club is part of a US$92 million, 54-hole golf resort that will become the largest of its kind in Vietnam. The project is a milestone in the planning of overall tourism development in Ninh Binh province to attract more domestic and overseas tourists come to Ninh Binh as well as meeting the needs of investors. It is 20 km away from Kim Son beach, always receiving cool fresh breeze from the sea and nearby Yen Thang Lake, which will cool golfers down even on the hottest days making for a pleasant atmosphere when playing golf here. Especially, from the course, it’s quick and easy to access the Trang An Landscape Complex – spectacular landscape of limestone karst peaks permeated with valley which is inscribed as a UNESCO World Heritage Site in June 2014. 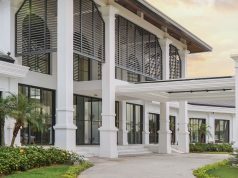 The things that make the Royal Course stand out above all are its beauty and tranquility making for a wonderful place to go off for a romantic getaway, or a trip with the family. Golfers will experience creation of design in harmony with nature, the course is surrounded by the natural mountains, tree-covered rolling hills and the 185-hectare Yen Thang lake goes alongside Renowned golf course architect Peter Rousseau did an amazing job of utilizing the natural surroundings to create a very walkable and challenging but immently playable layout. It will eventually include three international standard 18-hole courses: King Hill course, Queen course, Prince course. Two of which are designed for professional golfers. The first 18 holes was opened for public in January 2010, and now, 36 of 54 holes are under operation. 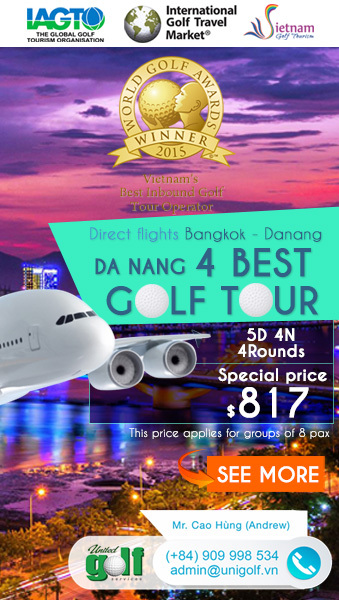 The King Hill golf course is a delight to play and a good challenge for players of all handicaps. 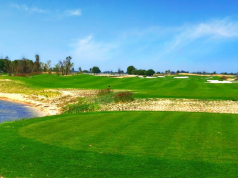 Greenleas Park and Novotek Grass which are imported from Thailand and planted on greens & fairways, combined with bunkers that will be challenging for the most experienced golfers. The primary variables in golf courses are size, layout, sprinkler system, greens, tees, fairways, and bunkers lengths are suitable for all levels of golfers and enables them to use all of the clubs in their bag. A floodlight, 20 bay driving range will help you improve your golf skill and the 100 seat restaurant serves excellent international cuisine all day. We are confident that a day at Royal Golf Club will remain in your memory for a long time to come. Address: Tam Diep, Ninh Binh, Vietnam. Keyword: royal golf club, royal golf course.